Thekitchenis, generally, a stay in the house not too large (there are huge, of course) but in which, yes or yes, it is necessary to introduce many elements that are essential for day to day.Therefore, thedistribution of furniture and appliances, accompanied by adecoraccordingly, may not be entirely simple.There arefrequentmistakeswe make when it comes to decorating and organizing our kitchen, and today we are going to meet some and discoverideasthat will help you solve them.We start! 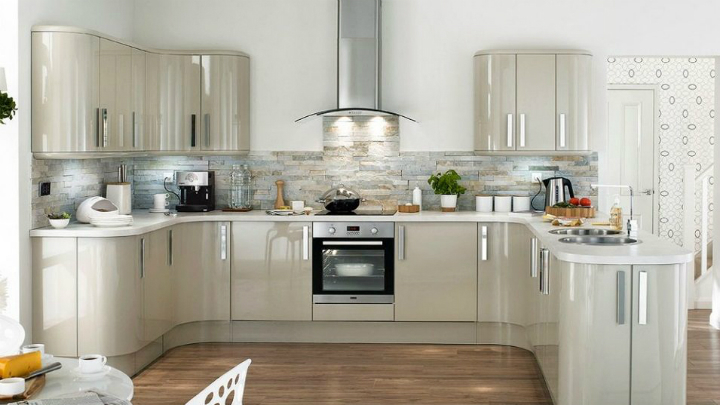 The first mistake that we can find when it comes to organizing and decorating our kitchen is not having enough storage space.It is important that you take full advantage of the available square meters and there are manystorage solutionsthat adapt to all types of kitchen. The second error to which we are going to give a solution is that of creating obstacles in the so-called work triangle, that is, the one located in the areabetween the scrubber, the plate and the refrigerator.It is the place where more activity is done, so avoid placing in the middle some cart, bar or any other element that interferes with the proper traffic between these three places. Also, to distribute the furniture well following this theory you can place them in L-shaped, U-shaped or parallel.Also online because, although a triangle is not formed as such, it allows us to access all three areas comfortably. Thecountertopis the work surface where we will prepare our richest recipes.It is essential that you take into account the most proportionate dimensions regarding the size of the kitchen so that it is a comfortable place for you.Remove them as much as possible when decorating the room, avoiding placing too many objects on it.And do not forget thematerial, since its durability and maintenance will depend on it. If you are lucky enough to havenatural lightin your kitchen you are in luck.It’s the best there is!But, sometimes, this may not be possible and you should use an adequate artificial lighting that makes the stay comfortable and safe at the time of cooking.And even if you have natural light you should also pay attention tolighting, especially in order to light the work area so you can cook with the greatest possible visibility.Avoid the shadows in this space.In any case, you should look for safety and comfort with the chosen lights. 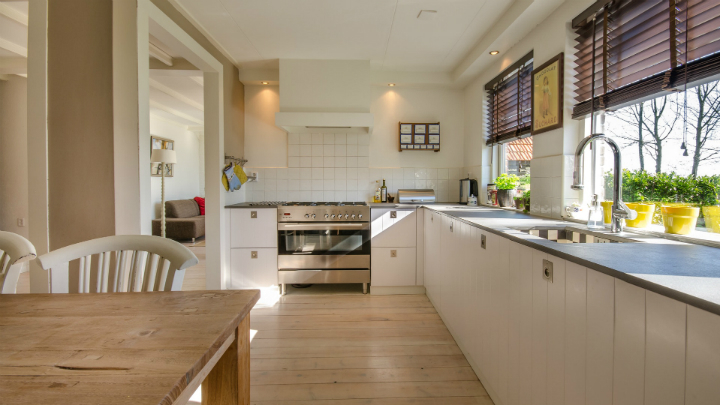 Another of the most common mistakes is tomiss out on the spacein our kitchen.For example, placing small furniture, which does not reach the ceiling, losing storage capacity and causing the top part to fill with dust.Try that, without saturating, all the space you have can be used.I do not mean only the storage, but also the areas that may be left to add some decorative element or the size of the furniture. 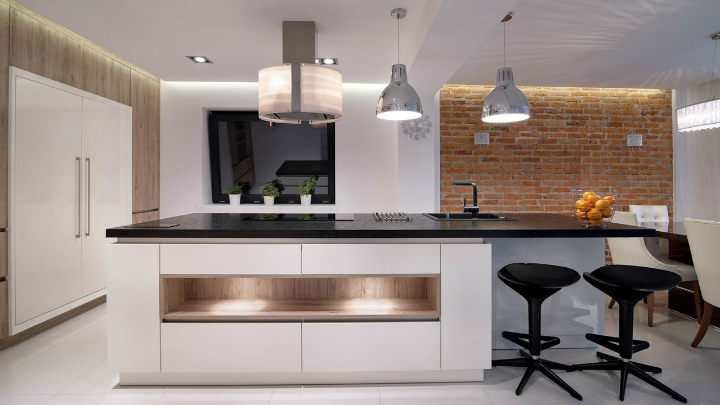 If you do not want to put high cabinets because the kitchen is small and can overwhelm a little bet forshelves and shelvesthat help you use the vertical surface of the walls of your kitchen.And if you have a corner or dead corner, look for a piece of furniture as you solve this problem.There are solutions for everything, you just have to know how to find them.